About this time last year, Angela Tilby wrote a provocative piece in the Church Times where she described her response to the prayer initiative “Thy Kingdom Come” as “I shall be praying for an escape from the Evangelical takeover of the Church” going on to complain that “Too often in church, people in distress are patronised by the saved and the certain, infantilised by a faux inclusivity”. A curt response came the following week from reader and churchwarden Dennis Croome: “How sad! She clearly has not realised that, if Evangelicals left the Church of England, there would be very little left.” It is a recent manifestation of that battle between liberals and evangelicals which is never far below the surface in the church and erupts at regular intervals. In my life time I can think of the ‘Honest to God’ debate in the sixties, the Myth of God Incarnate in the seventies, the Bishop of Durham and the resurrection in the eighties, and Don Cupitt and the Sea of Faith. Today the battle is particularly focused around human sexuality. Nobody wants to be immature, but what does maturity look like especially in relation to faith in God? That has been the question that has driven the thinking that is contained in my new book “Growing up into the Children of God”. The evangelical suspicion of liberal theology is that it is a road that leads at least to a practical atheism with a God relegated to the margins of space and time and seemingly unable to do much to change the world. The liberal suspicion is that evangelical faith in God is maintained by avoiding pain and darkness, by peddling certainties rather than owning complexity, or by a lack of responsible engagement with the world. How we answer these questions will have huge implications for our discipleship, for how we pray and pursue Christian mission. All too easily liberal and evangelical approaches are presented as binary options. You’re either one or the other. But binary is increasingly being shown to be an inadequate response to reality. The mess of Brexit is a vivid demonstration of where binary politics can land us. In the first place we have seen that the choice of remain or leave was a naive oversimplification of how we might relate to Europe. Furthermore the two party politics that is the inevitable result of our blunt first past the post system has in no way been able to cope with the nuances of this issue. A political impasse has resulted from the government desperately trying to hold together a divided party rather than work more collaboratively for a creative cross party solution. In the same way binary theology is threatening to split the church and prevent a credible witness in today’s world. It has long felt important to me to find a model that can resist these polarising tendencies and hold together the best of liberal and evangelical insight, believing in an active initiating God as well as upholding human responsibility in a world of amazing potential and frightening darkness. The path needs to navigate between certainty and unbelief, between turning God into a magician and just attaching religious language to an essentially human enterprise. God’s sovereignty has to be defined within the context of a suffering world and the nature of human responsibility understood. This is theology but it is also about growing up. It is about a vision of maturity that recognises human responsibility, but also human limitation knowing what we can expect of God and also what He expects of us. It is about being child-like, but not childish. 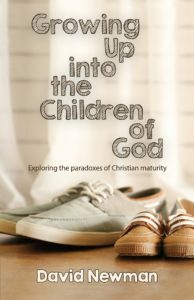 The title “Growing up into the Children of God” is deliberately paradoxical for paradox is often the best way of articulating a mature faith. Both Jesus and Paul frequently talk in paradoxes – ‘losing your life to find it’, ‘when I am weak then I am strong’ etc. Indeed growth itself is paradoxical as Jesus pointed out in one of his parables of the seed. In the natural world it just happens automatically: “A man scatters seed on the ground. Night and day, whether he sleeps or gets up, the seed sprouts and grows, though he does not know how. All by itself the soil produces corn . . .” (Mark 4:26–28) and yet there is a human part—sowing, tending, reaping—so that although human action cannot produce growth, it can certainly encourage or prevent it, and it is necessary to understand what is the natural (or divine) part and what the human. There is a point on the theological spectrum where evangelicalism tips over into a sectarian fundamentalism and liberalism into a theological non realism neither of which enable vibrant Christian mission. There will be different views on when that moment is. But in the centre they can complement and strengthen each other, holding together the initiating action of God and the creative responsibility of people. As Augustine memorably summed it up “Without God we cannot, without us He will not”. Finding that ‘via media’ should be bread and butter for Anglicans yet in practice seems hard to do. The task, I believe is urgent, and exciting. Richard Dawkins, The God Delusion (Bantam, 2006), pp. 403–4. 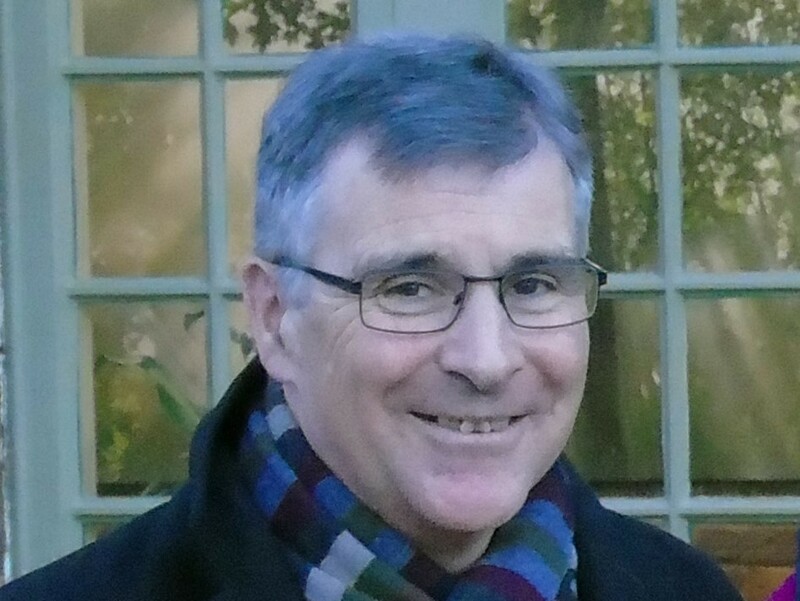 David is the warden of Launde Abbey after a long experience of leadership and ministry through incumbencies in Derby and Loughborough and most recently as archdeacon of Loughborough. Review of Muthuraj Swamy, “Reconciliation” (The Archbishop of Canterbury’s Lent Book 2019) (SPCK).